iTunes U was an educational initiative announced by Apple back in May of 2007, and now almost 6 years later, iTunes U has passed 1 billion downloads. That seems like a pretty long time, but to be fair 1 billion is a pretty big number, and iTunes U didn't really get that popular until the release of the iPad in 2010. Even if you don't like Apple, it's hard to not like iTunes U, which is a great resource that brings college level classes from big name universities like Duke, Yale, Cambridge, MIT, Oxford, and Stanford to users, often for free. 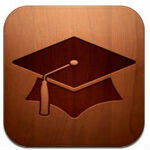 The service has also become big in universities, and now has more than 250,000 students enrolled in iTunes U courses. Educational institutions in 30 countries can now create iTunes U courses, and those courses can then be accessed in 155 countries. This global view is important, because numbers show that 60% of iTunes U downloads come from outside of the US. Way to go! This is great news. Apple gives equal importance to students' development and also to the physically challenged and the rest. Way to go Apple. BTW, i didn't know iTunes U was released before 2010.